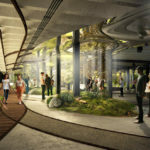 Last week New York City deputy mayor Alicia Glen and New York City Economic Development Corporation (NYCEDC) president Maria Torres-Springer announced that the city has selected the Lowline to officially occupy vacant trolley tracks under the Lower East Side as the world’s first underground park. 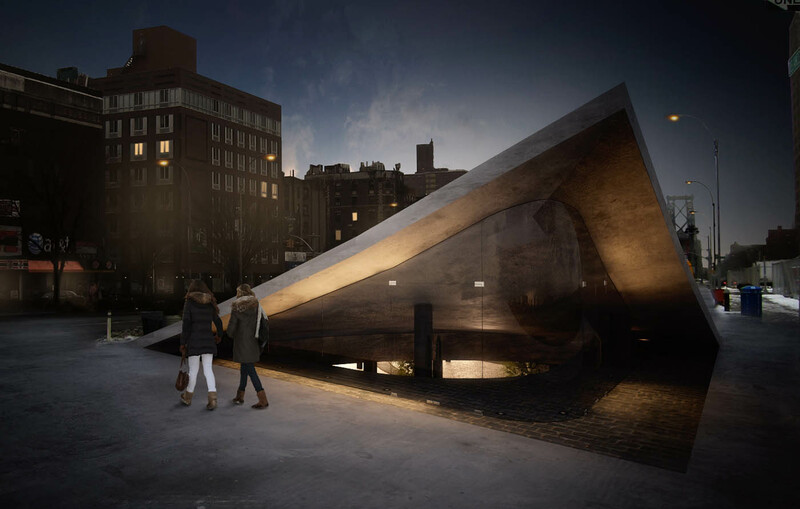 Conceived by James Ramsey of raad studio and Dan Barasch, the Lowline will use a custom solar array to channel natural light into the windowless space, which sits adjacent to the J/M/Z lines at Essex Street. 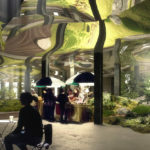 (The Architect’s Newspaper toured the Lowline Lab, the park’s freakily lush demo and educational space, last fall.) 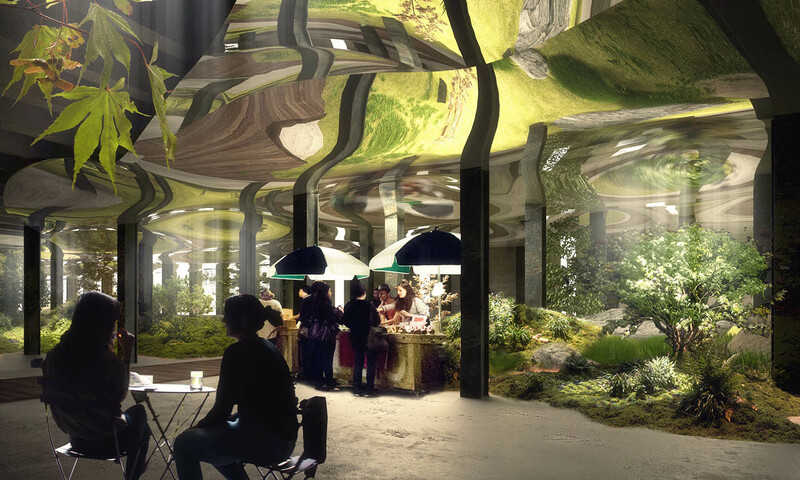 At the Lab, an above-ground solar array refracted onto a paneled canopy provides different light intensities to grow everything from pineapples to moss. Since its opening, the lab has hosted 2,000 schoolchildren and 70,000 visitors, an early indication of its potential popularity (it is slated to operate through March of next year). Last fall, NYCEDC, in conjunction with the MTA, put out a request for expressions of interest (RFEI) to develop the Williamsburg Bridge Trolley Terminal, a 60,000-square-foot space below Delancey Street between Clinton and Norfolk streets, under a long-term lease. 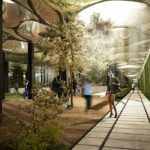 The RFEI stipulated that the developers must implement a community engagement plan that includes quarterly Community Engagement Committee meetings as well as five to ten design charettes; complete a schematic design to submit for approval in the next 12 months; and raise $10 million over the next 12 months. 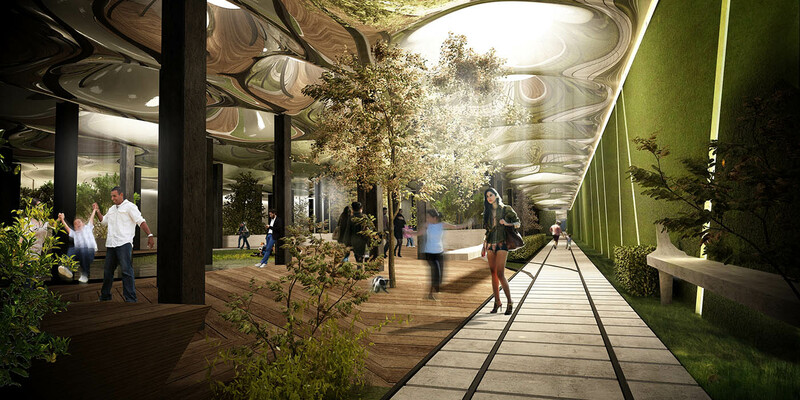 “Every designer dreams of doing civic work that contributes to society and to the profession. Over the last 8 years, we just stuck to what we thought was a great idea that could make our city and our community better. 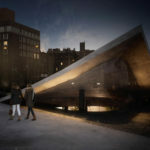 We’re thrilled to move ahead on designing and building a space that people will enjoy for generations to come,” Ramsey said in a press release. Principal Signe Nielsen of Mathews Nielsen Landscape Architects is landscape designer for the project, working with John Mini Distinctive Landscapes. 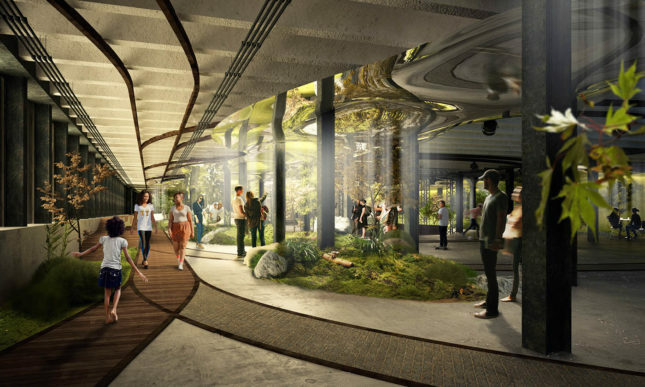 The Lowline’s creators and backers hope that the park will showcase adaptive reuse possibilities for vestigial spaces, as well as provide the densely-populated neighborhood with additional green space.